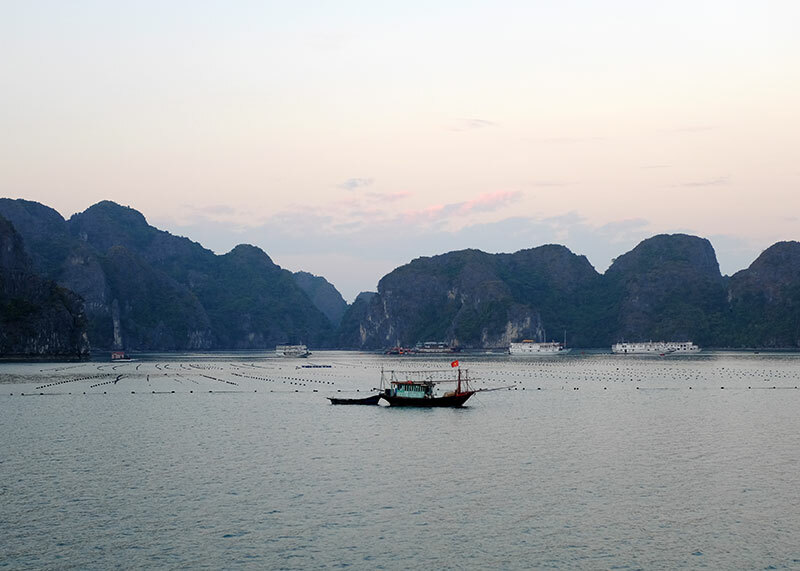 One of our (many) Halong Bay photos, taken on a vivid colour setting. 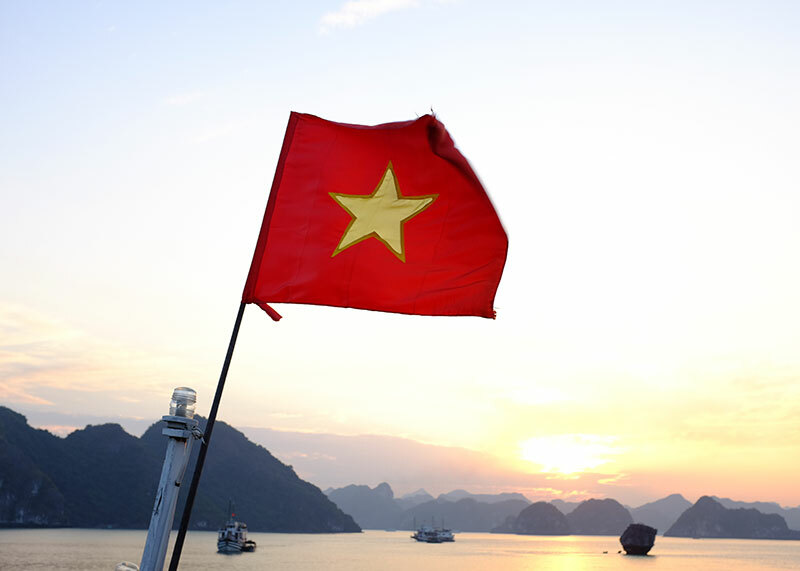 Thinking of a trip to Vietnam? 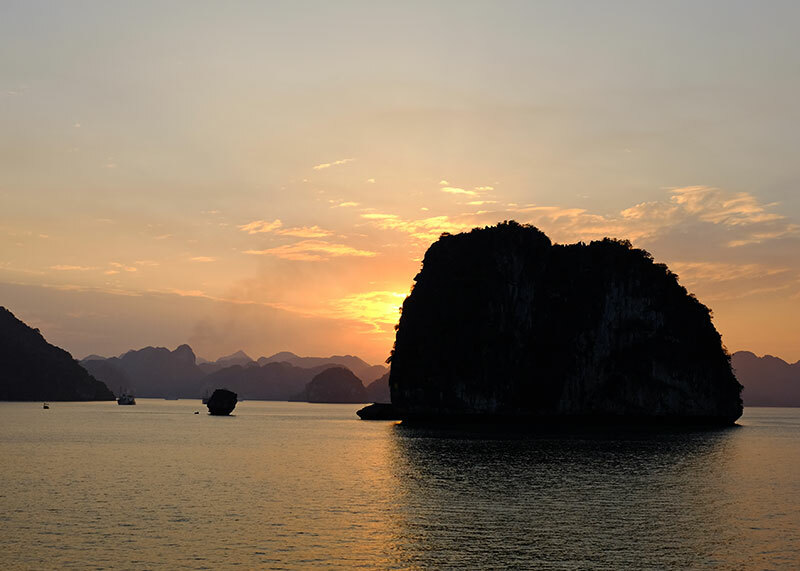 Halong Bay is a name that’s going to come up a lot in your planning. 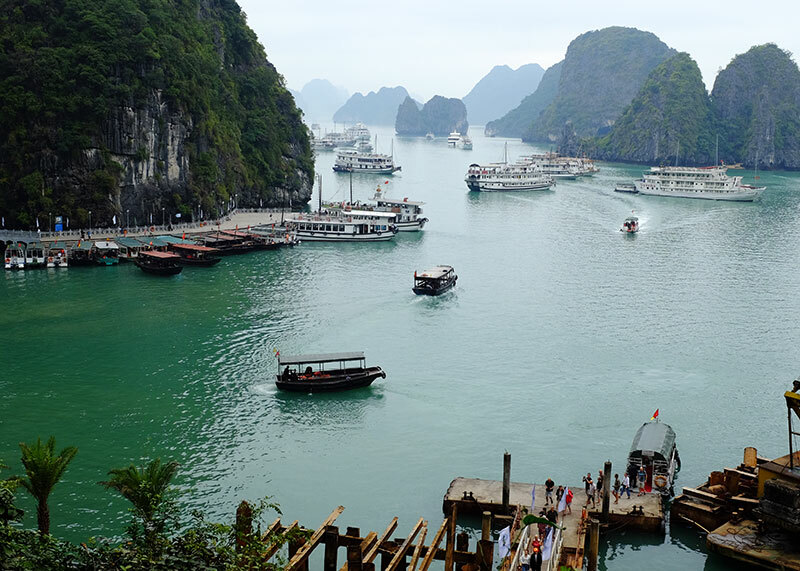 A UNESCO World Heritage Listed Site known for its towering limestone islands, emerald waters, and myriad of traditional junk boat cruise, it’s one of Vietnam’s big-ticket destinations. 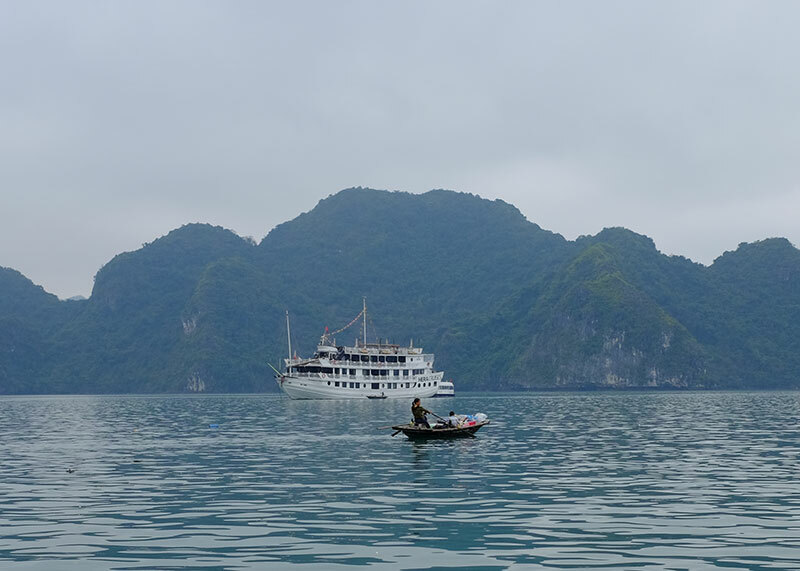 Beyond the hype though, is Halong Bay as good as everyone thinks it is? 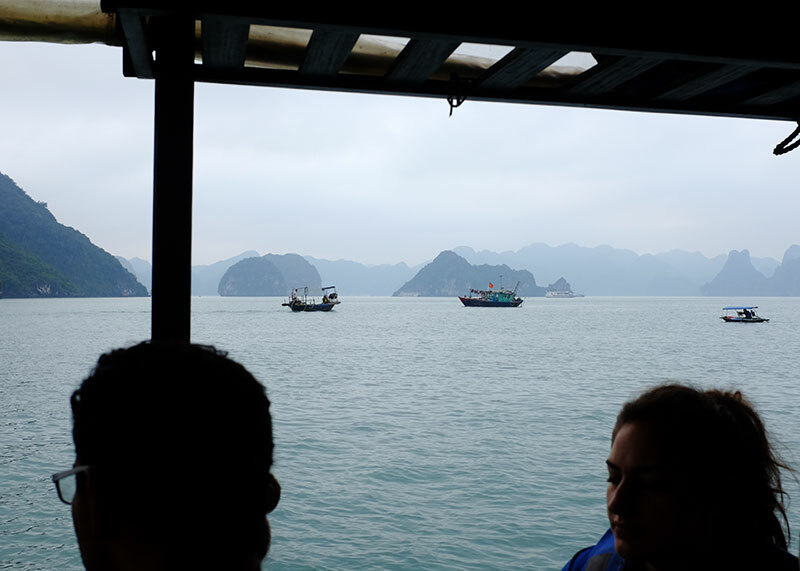 Here’s what we experienced on a recent trip to Halong Bay. 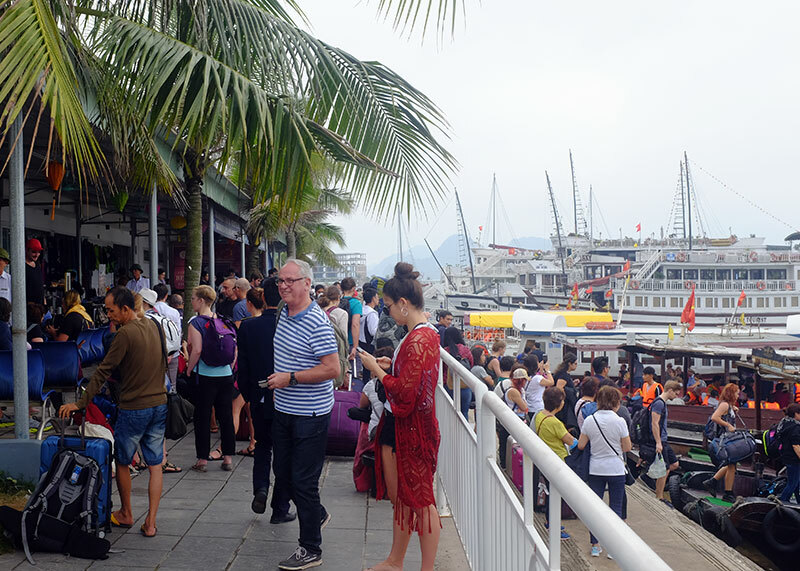 The marina on Tuần Châu island. 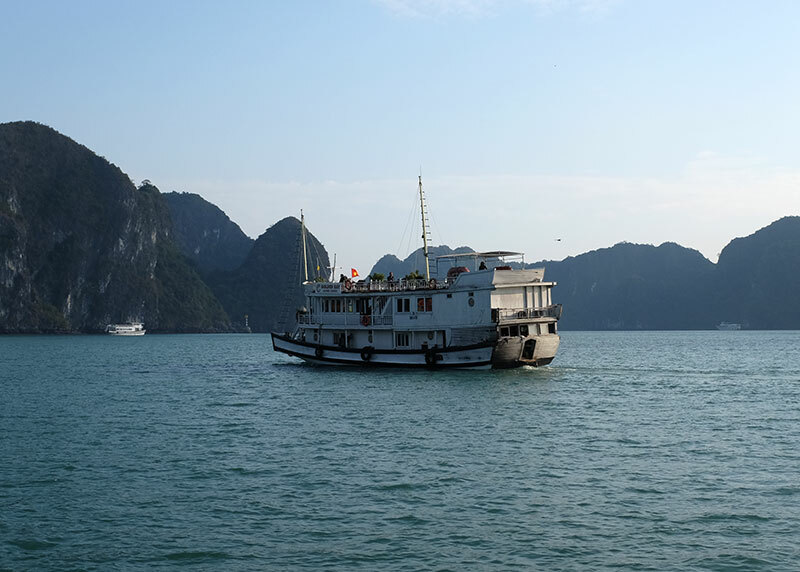 The first port of call for many visitors to Halong Bay will be the Tuần Châu marina. 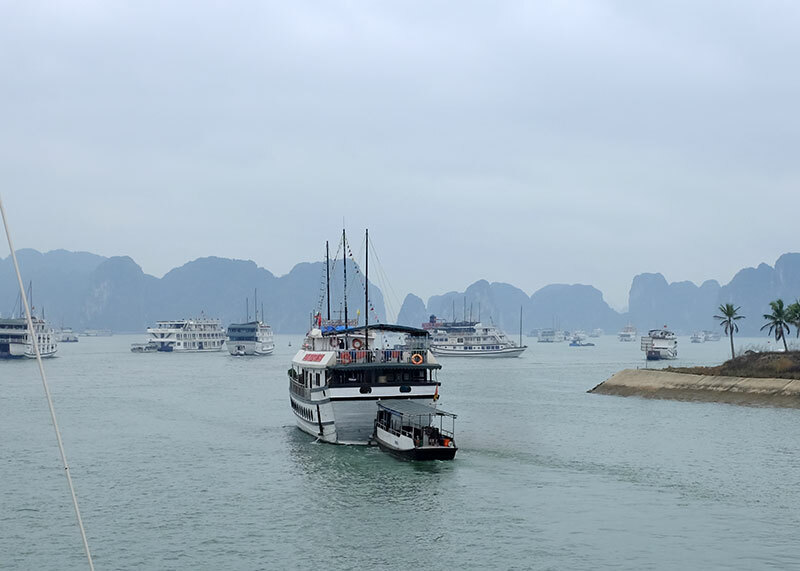 Located on an island just southwest of Halong City, it’s a small port which is at its busiest around midday, when there’s the changeover from passengers returning from their time on the bay and those heading out to begin their cruise. Don’t freak out at the noise and engine smoke; it all dies down once you’re from the marina. Facilities are basic, but there are toilets, coffee shops, and souvenir stalls where you can pick up a few trinkets to take back home. 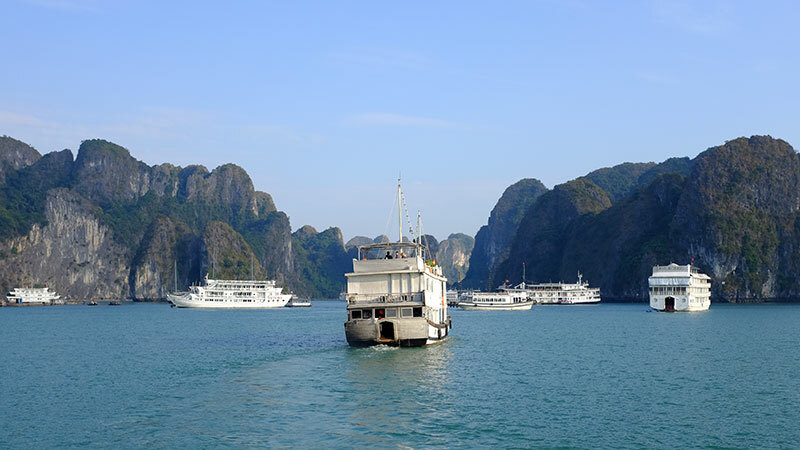 Once you’re aboard, it’s time to join the procession of ships puttering out into Halong Bay. Most of the ships are fairly old, but they’re reasonably well maintained and should be more than enough for the time you’re on the water. 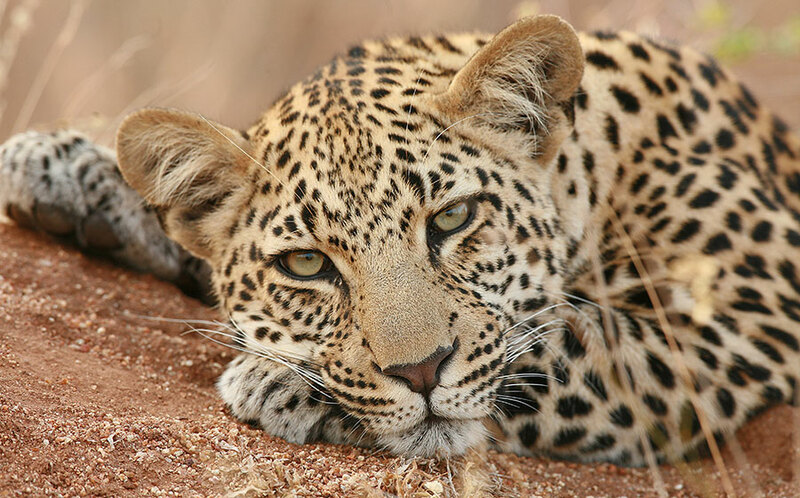 We travelled with Majestic Cruises. 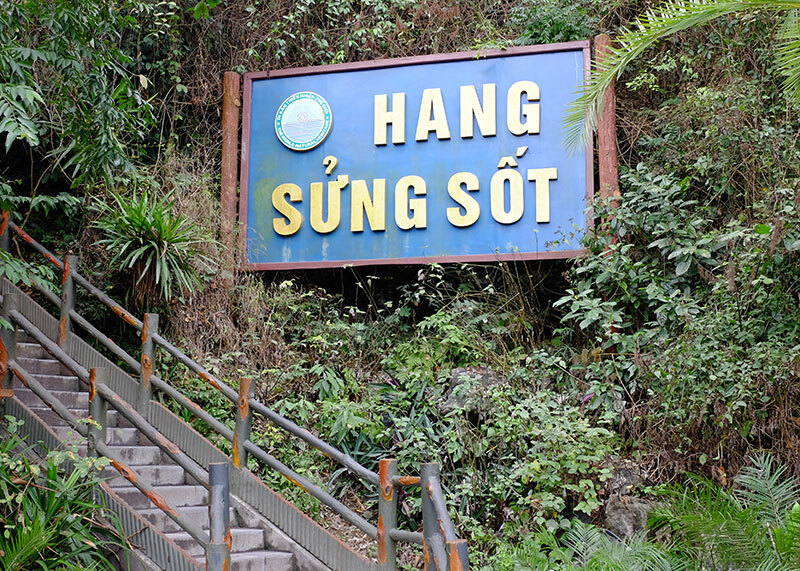 One of the most popular sights in the bay is Hang Sung Sot, also known as Sung Sot (Surprise) Cave. 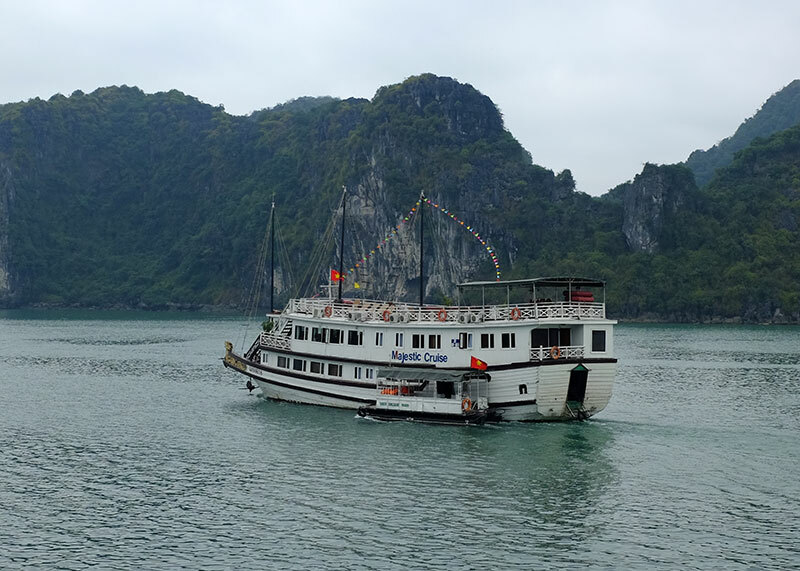 We boarded a tender boat and puttered over to the dock below the cave entrance, and joined a steady stream of hundreds of other visitors making their way up the path to the cave entrance. It’s a pretty steep walk, but there are several spots where you can stop to take in the view (and get a photo with the limestone islands in the background). 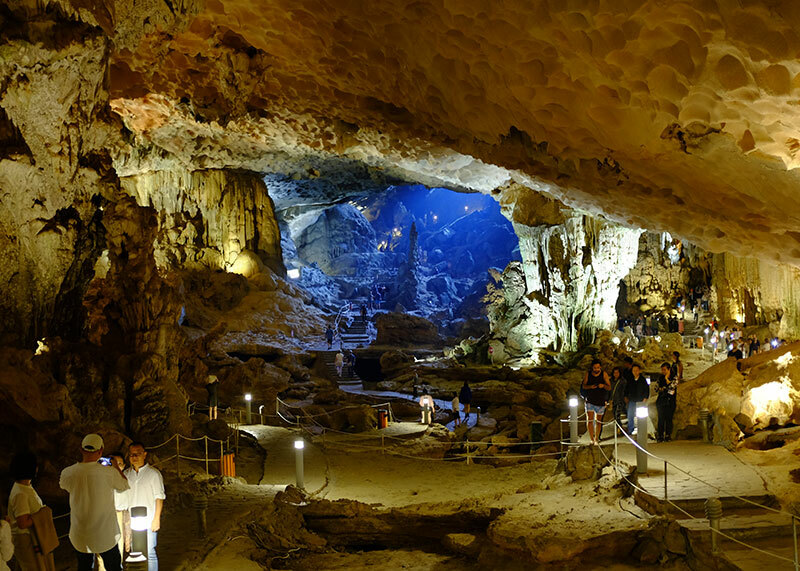 Inside Sung Sot cave waits a truly surprising (see what I did there) sight. 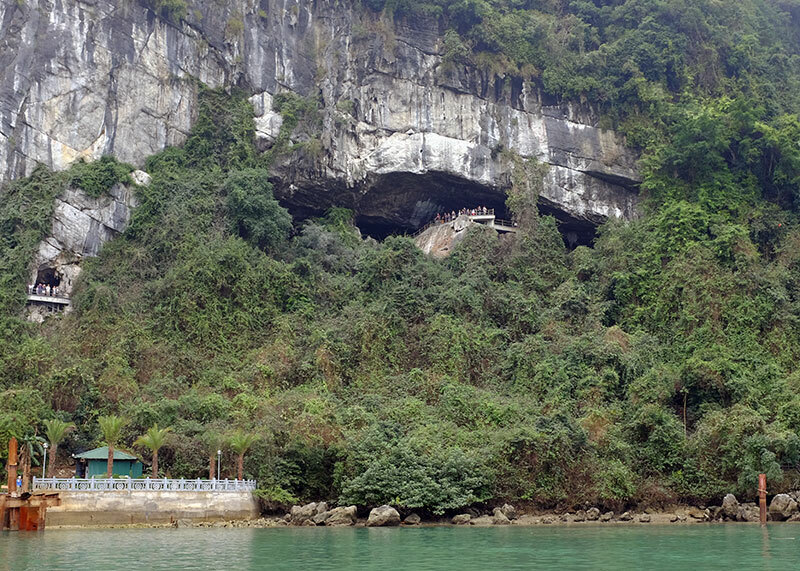 We’ve visited Halong Bay twice now, one year apart, and the biggest difference we experienced was at this cave. Previous lighting was a rainbow explosion of colour, with red, orange, blue and green lights illuminating the darkness. The second time though, it was a very different experience. The garish colours have been replaced with more subtle, elegant lighting like the shot below. I tend to take a lot of photos when I travel. If it’s not the Fujifilm in my hand, it’ll be my iPhone. Some of my favourite sights were the small fishing boats making their way around the bay, and a lot of them were blink and you’ll miss them sights (though, admittedly, most of their motors weren’t firing on all cylinders). Be prepared to come home with a lot of shots, like this one I took on the tender back to our junk boat, with other people in them. 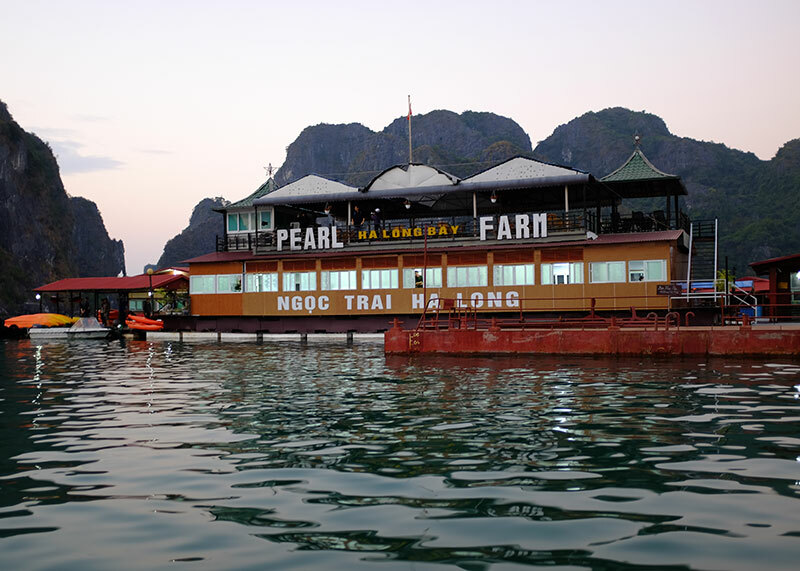 A lot of the junk boat cruises that go out to Halong Bay will take you to the Ha Long Bay Pearl Farm, a tourist stop where you can see how pearls are grown and made into jewellery… with a healthy dose of ‘exit through the gift shop’ realness to boot. You get taken for a brief tour through the floating facility, stopping to look at the oysters being grown and also watching one of the staff insert the core into an oyster to try and culture a pearl. If you’re unfamiliar with pearls and want to learn a bit of superficial knowledge, it is a pretty interesting place to visit. We weren’t that interested in shopping for pearls, but there seemed to a couple of people who were. I appreciated the lack of hard-sell from the guides and shop assistants; if you weren’t interested, they didn’t try to force a sale. 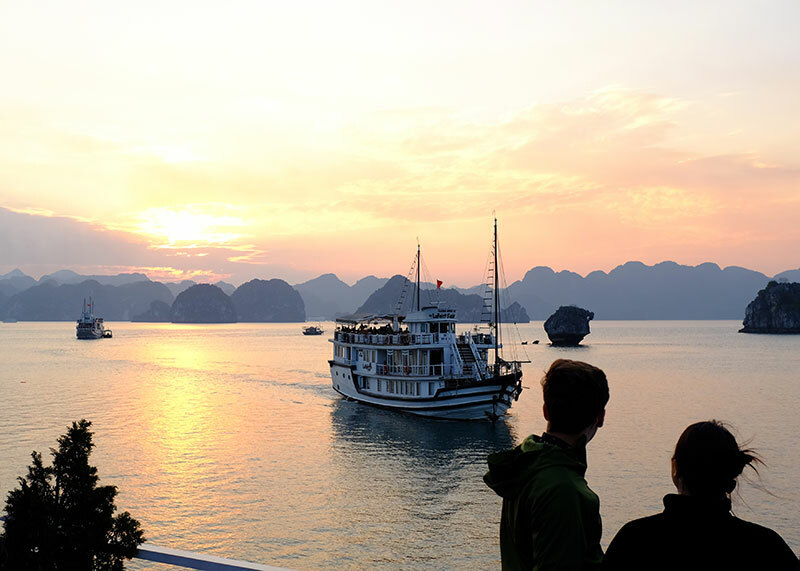 Halong Bay is a beautiful destination that deserves its place among the most spectacular sights in Vietnam, but it isn’t 100% like the photos you so often see. If you’re expecting to see lush, green islands and emerald water like you see in the tourist brochures, you may be a little disappointed. 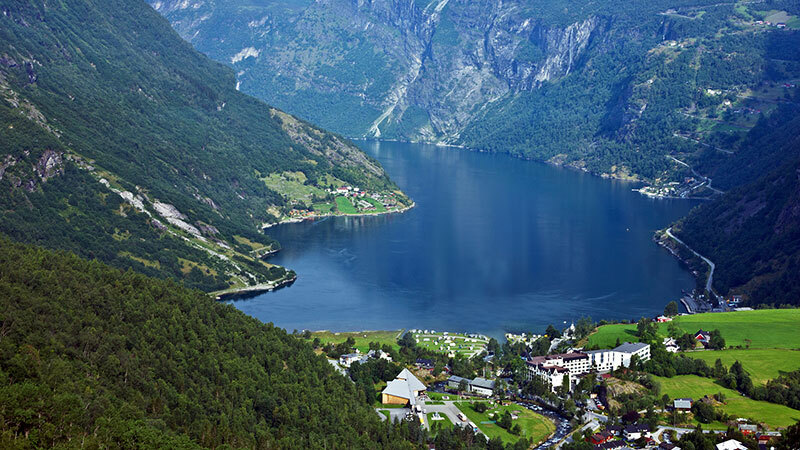 What is real however is the incredible natural beauty, the powerful islands rising up out of the water, and the relaxation of doing nothing but take in the ever-changing view. 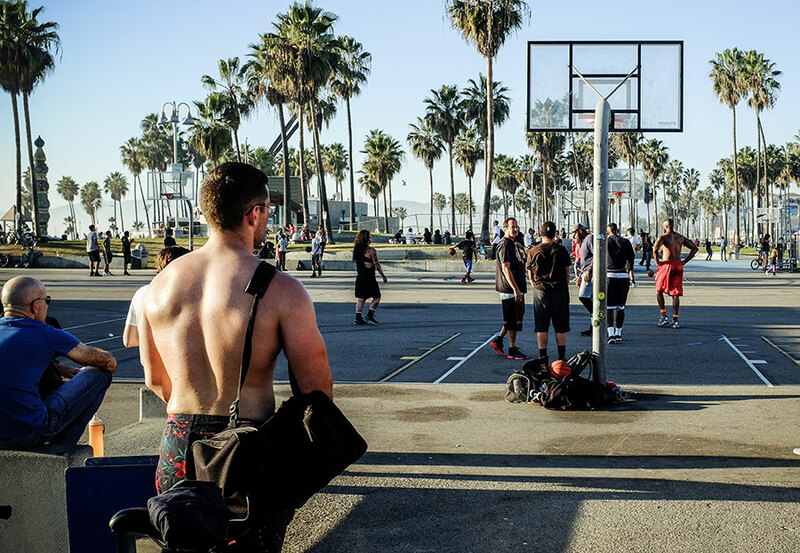 Go with the right expectation and you’ll most likely have an amazing experience.